Today I feel amazing, I started my fast with 126.5lb, and I am doing for spiritual and health reasons, hoping that God will give me the strength to do stick to it for the 21 days goal. Day 1 – was very difficult and suffered huge headache, hardly any sleep, woke very exhausted. Day2 – Same only worst headache not hungry at all though and so fat no BM, though I am by nature very regular even in timing.Day3 – Feels a bit better, slept better, still no BM, unable to do the SWF, it makes me gag and be sick, so not sure if it is normal not to have a BM for 3 days, not feeling any bloating.day 4 I am at at 122lb feels really good no hunger pangs, just sometimes a bit shaky and out of breath is this normal ?? Day 5 – still on the wagon really feel good, today I will start to go back to my HOT YOGA, I was afraid to do it earlier as I was feeling very weak, I will try today for the first tiem for an hour I hop it will be ok, also the strange thing today I weight myself and I was 122.40lb I put some weight how come?? I dont understand can it be the smoothies ? should I stop them and stick to juices ?? any one can help with what I am doing wrong …Thank you….Help…. Smoothies can cause weight gain. Stick to the juices. Thanks Tom I was thinking it had to be that because today again no weight loss -I will stop the smoothies. The only time i use smoothies is before the gym then after, but my intake is one glass each time. I am lucky that i can buy and add whey protein, amino acids, creatine capsuels, some people on this site cant afford a juicer as they are on a tight budget. When i break down my food shopping weekly it costs me about £50 a week just for myself. dont forget, when youre doing hot yoga, you sweat important minerals out and youre dehydrating. So make sure you replenish with liquid. Just drink as much water as you sweat out to keep the balance. I find the juice route the best. 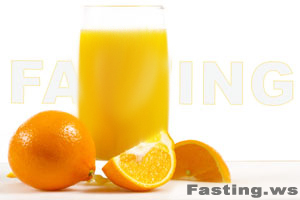 I have commenced a juice fast today and will continue this for 30days. I like to think of it as an investment. If you keep yourself busy you will not think about being on the fast. For those of you who battle with self discipline keep yourserlf busy with something interesting. Take up a course in something. Do Something else and the fast will take care of itself. Sorry something I forgot to add. I find that sweet juices like orange mixed with carrot keep my sugar levels up. I am a lecture and do a lot of talking in class so use up a lot of energy but I find the orange carrot combination excellent for a quick boost whilst in class. I dont know about you guys but I have to have sweet juices when I fast. Some other combinations are :Orange,carrot,juice of one lemon,apple. The lemon helps to keep the colour of the juice fresh. I make 1.5 litres per day and sip on this through out the day. To help with the bming, you can drink some Smooth Moves tea, its by the people who make throat coat. I know it has kept things flowing for me, but I say ask the experts first. Best of luck to you!